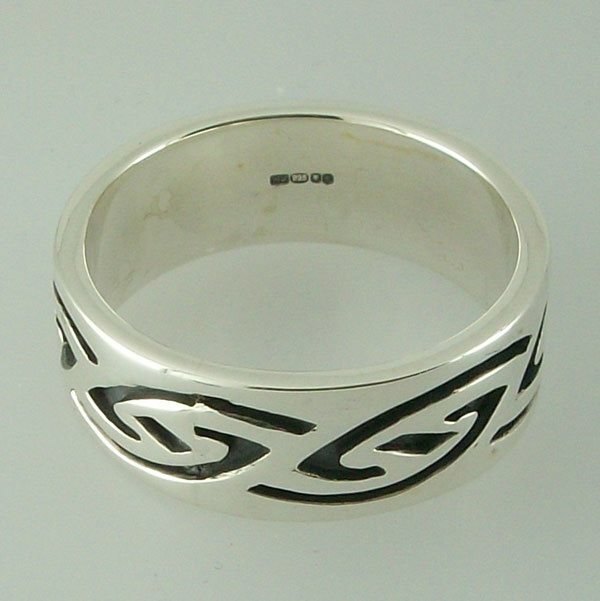 This stunning silver celtic ring reminds us of our landscapes and breathtaking scenery around our coasts of the Hebrides. Design John M Hart Hebridean Jewellery. Hallmarked at the Edinburgh Assay office. Supplied with box.